The Public Accounts Committee (PAC) has today published a report in to its Converting schools to academies inquiry. 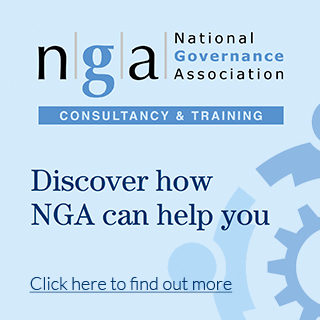 The National Governance Association (NGA) provided written evidence to the inquiry, and chief executive Emma Knights gave oral evidence on 18 May. In their summary, the PAC says “the Department [for Education] still does not seem to be learning the lessons from high profile academy failures that have been costly for taxpayers and damaging to children’s education.” The report says that 72% of secondary schools are now academies and 27% of primary schools; overall, academies are teaching 47% of pupils. The PAC considers the Department for Education’s (DfE) focus on “converting large numbers of schools quickly” to have been “at the expense of rigorous due diligence checks and risk assessment.” In response to this, the DfE is asked to review academy trust failures, identify lessons from these and how they can be used to strengthen future scrutiny arrangements. The DfE is also asked about how it plans to improve transparency for parents, specifically if they are “still considering whether parents should become members of academy trusts to help with transparency issues”. Academy trust boards “have a legal responsibility to keep their trusts solvent”, meaning that they are not willing to take on schools that are not financially sustainable; this particularly affects some small rural primary schools because “they are financially vulnerable or geographically isolated”. The DfE is asked to set out a plan on how it will support all schools that want to become academies, including how it intends to overcome issues faced by small rural schools and those that cannot find a sponsor/ trust. 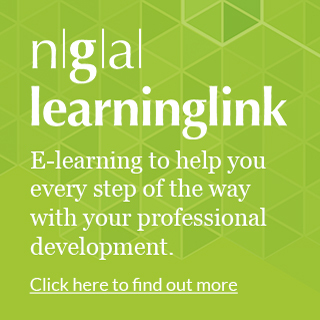 “Local authorities can incur significant costs when schools become academies” affecting the local authority’s ability to support their remaining maintained schools. The inquiry heard that local authorities “focus their limited resources on the weakest maintained schools, leaving good schools with little support”. The PAC has asked the DfE to “develop a better, up to date understanding” of the costs faced by local authorities because of conversion, and use this to “assess whether it should contribute” to the costs incurred. Local authorities “retain important statutory responsibilities” including to ensure that there are enough places for local children, however the report found that “regardless of the extent of academistation” local authorities have no “control over the number of places in academy schools”. Therefore, the PAC suggests that the DfE should require all academy trusts to work with local authorities on planning and school admissions. In our evidence, NGA argued that the DfE need to be more honest and transparent about reviewing failures and learning from these, therefore NGA agrees that the DfE should identify lessons from academy failures and use these to inform the checks it carries out before schools convert. Those governing also have a role to play in sharing their experiences: NGA has been promoting learning between those governing MATs through our Community MATs network and Lessons Learned case studies. Engagement with parents is an important issue, especially in MATs which can seem disconnected from their communities; currently parents are not built in to the accountability system enough. NGA is pleased to see the PAC reiterating our suggestion to explore ways to improve transparency and local accountability, for example through parents becoming members of academy trusts. This topic has been explored in more detail here. NGA is not of the view that any one school structure is better than another in bringing about school improvement. The decision to convert to academy status should rest with the governing board. There are however advantages to pupils when schools come together in groups either federations or multi academy trust as described in our joint guidance staying in control of your school. Since 2016, it has been the DfE’s policy for schools judged ‘inadequate’ by Ofsted to be converted to academy status. However, NGA has always maintained that becoming a sponsored academy is not an automatic route, and certainly not the only route, to school improvement, and experience has shown it is not always the quickest route. The report rightly highlights important issues including the options for schools unable to find a sponsor to support them, for small rural schools and the impact of large scale academisation on local authorities’ ability to fulfil their statutory responsibilities. NGA would like to see federations being promoted alongside MATs as a positive option for schools wanting to be part of a formal collaboration, including for small rural schools; this route provides many of the same benefits as being part of a MAT and more information is available through our Federation First campaign. NGA shares the PAC’s desire to see the upcoming consultation on school accountability address unnecessary burdens of school and ensure co-ordination between the different agencies involved.